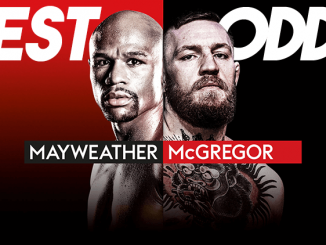 Tomorrow marks the one-month countdown to the much-awaited Mayweather v McGregor bout and online bookmaker sportsbet.com.au has been astonished by the amount of support for outsider Conor McGregor. 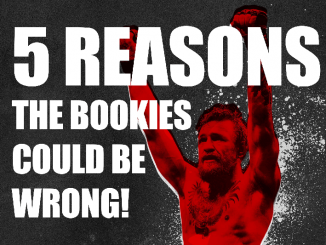 85% of the money has been on the Irishman, forcing his price in from $6.00 to $5.00. 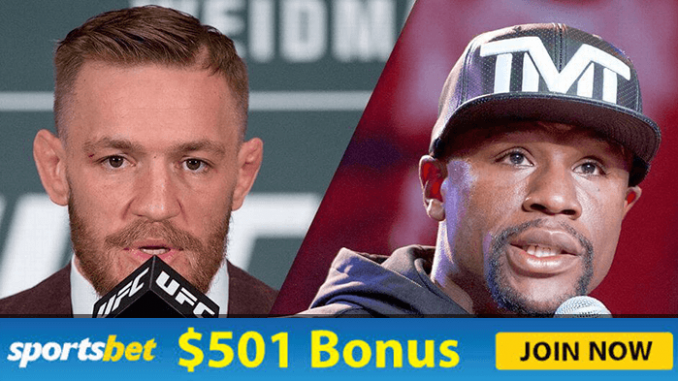 One bet of $30,000 and another two bets of $20,000 have been placed on McGregor at Sportsbet odds of $5.00. Mayweather remains the $1.18 favourite, but the biggest bet on the American is $10,000. 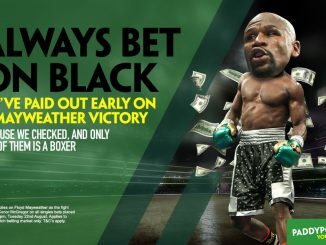 “If anyone out there wants to back Mayweather, please get in touch with us because it’s all one-way traffic in McGregor’s favour and we’ll be facing a massive payout as it stands,” said sportsbet.com.au’s Christian Jantzen. TAP HERE & COMPARE THE ODDS & BEST BONUS BETS!